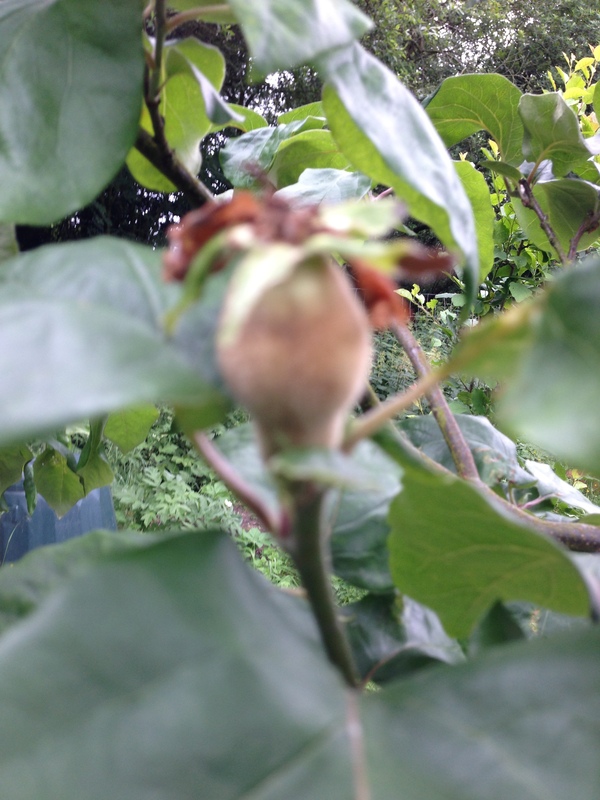 Despite the lack of sunshine, there are now some signs of fruit beginning to ripen. 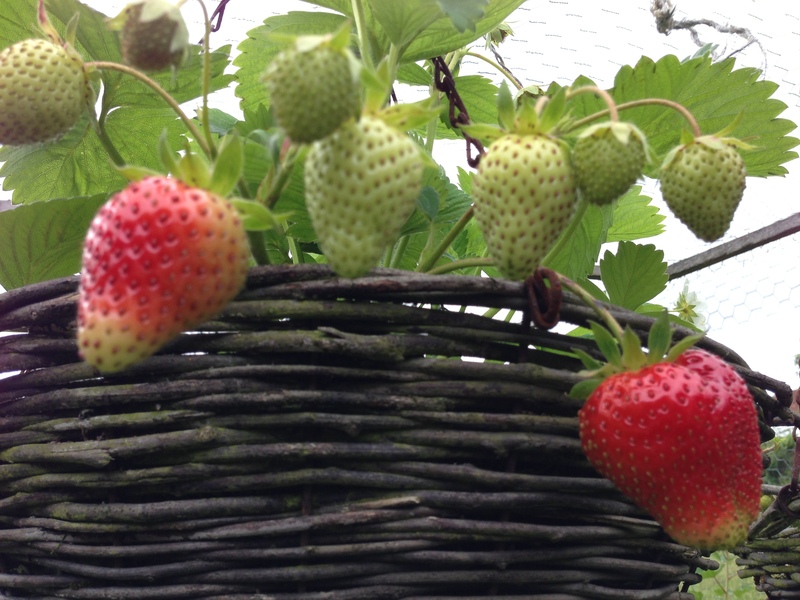 Some tantalising strawberries are reddening in the hanging baskets (the ones in the ground are still quite green, though prolific, in amongst the jostling raspberries, black & red currants and goosberries in the crowded fruit cage). Another couple of days and there will be enough for the first taste. 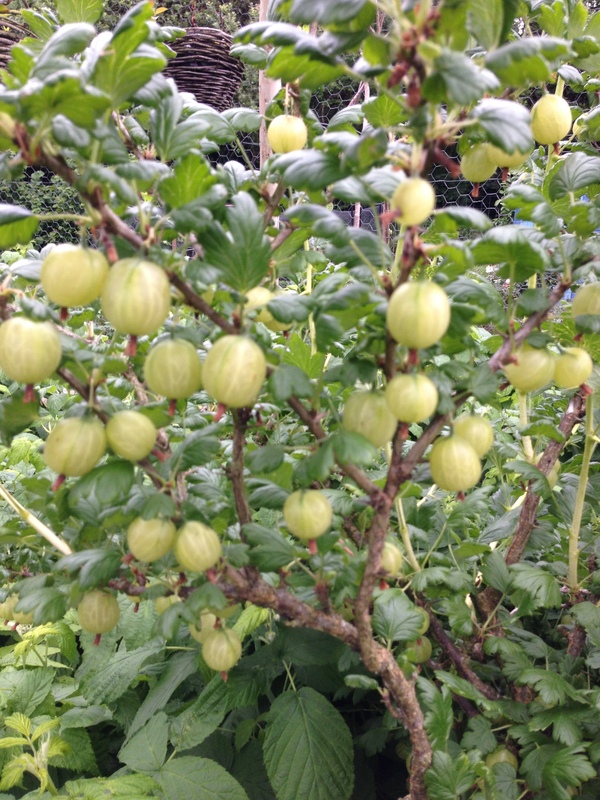 Happily, the gooseberries on the standard bush kindly bou ght for me by my father at the wonderful Rassell’s nursery near Stamford are looking as abundant as usual. I don’t recall what sort they are – definitely a green / yellow dessert variety – but they are always an early cropper and very sweet. Any other thoughts as to what may have happened to them would be most welcome, bearing in mind that they are securely inside a wire mesh fruit cage where no bird or larger creature could get in. I was also delighted to see that the quince tree that was planted two years ago has at least 7 vestigial fruits developing where the lovely blowsy flowers had been. 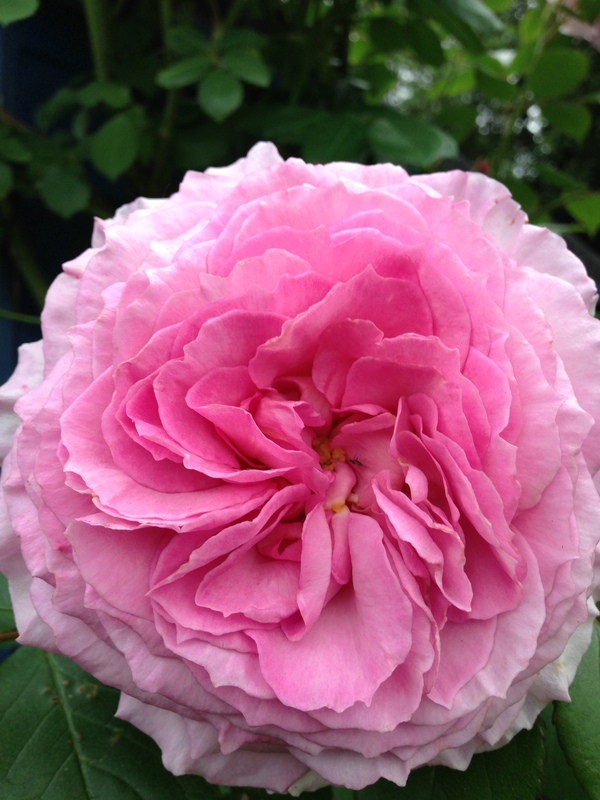 It looks very nice alongside the fast-growing and gorgeously coloured rosa ‘James Galway’, growing up the side of the adjacent shed, whose deep blue is a joyous contrast to the purply-carmine flowers. This entry was posted in Allotment and tagged gooseberries, hanging basket, quince, strawberries. Bookmark the permalink. Maybe someone who is very keen on gooseberry jam broke in and took the last harvest? How mysterious!